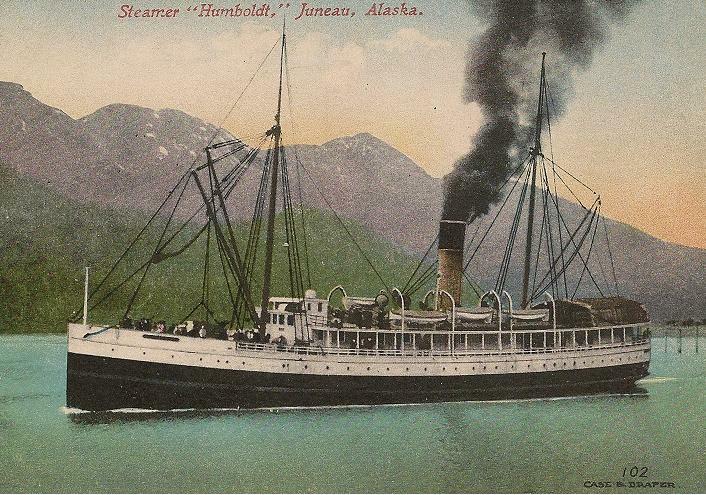 A 1907 article noted that the steamship Humboldt traveled from Funter Bay to Seattle in September, bringing 85 passengers and 7,875 cases of salmon (this included some cases from Petersburg as well as Funter). An article in the San Francisco Call of November 18th, 1911, described the Bark J.D. Peters arriving from Funter Bay, where it served as a cannery tender. Unlike the Thlinket Packing Co’s General Fairchild and other old ships converted to barges, the Peters seems to have remained a sailing vessel. 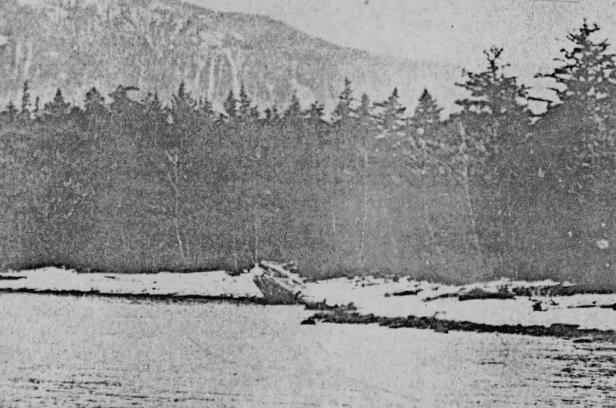 It is shown in a 1911 photo with furled sails. 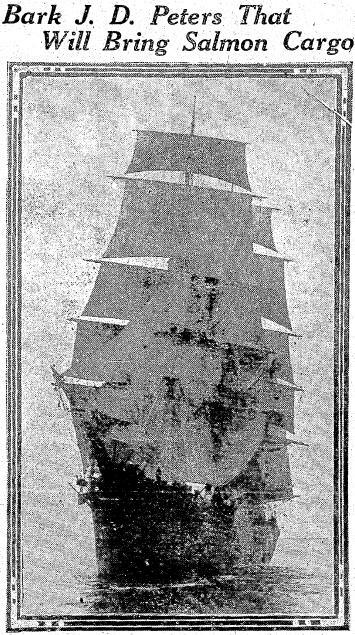 Another photo (which also appeared in the Seattle Daily Times dated 1911) shows the ships with sails raised. 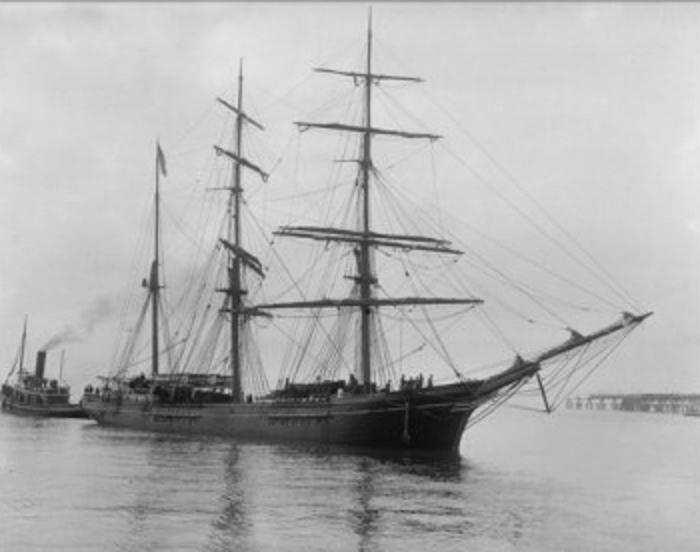 The merchant vessel registry describes the Peters as a 182ft sailing bark built in 1875 in Bath, Maine, and operating out of Port Townsend, Washington. It had a crew of 15 and a gross tonnage of 1,085. Registry number was 75809, and call numbers were J.R.L.F. It was owned by the Northwestern Fisheries Co during that time, and probably transported fish from multiple canneries in Alaska. In 1912 it was listed as a schooner, vs a bark. A bark has 3+ masts, all with square sails except the aft-most, and were a common type of slow cargo ships with smaller crews. A schooner has 2+ masts with fore-and-aft sails, even simpler to operate and requiring fewer crew than a bark, but does not necessarily perform as well. 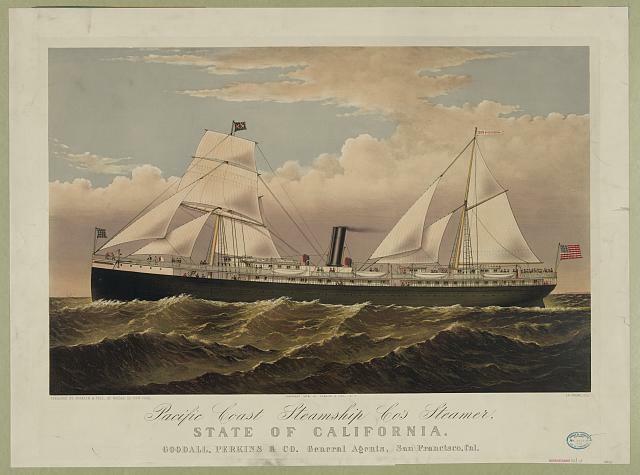 The Peters remained on the registry until at least 1928, when it had a crew of 5 and was hauling freight for the Booth Fisheries Co.
Also in 1911, the sailing steamship State of California went aground for four hours at Funter Bay, probably due to a misreading of the tide tables. 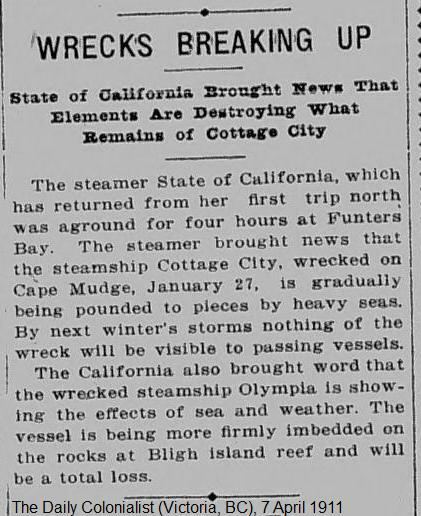 The State of California sank in August 1913 in Gambier Bay, on Southern Admiralty Island, after striking an uncharted rock. More information on the ship is here. Two photos show a hull on the beach at Funter in 1929 and 1935. The vessel is unidentified, but may be the fishing vessel Pilot. 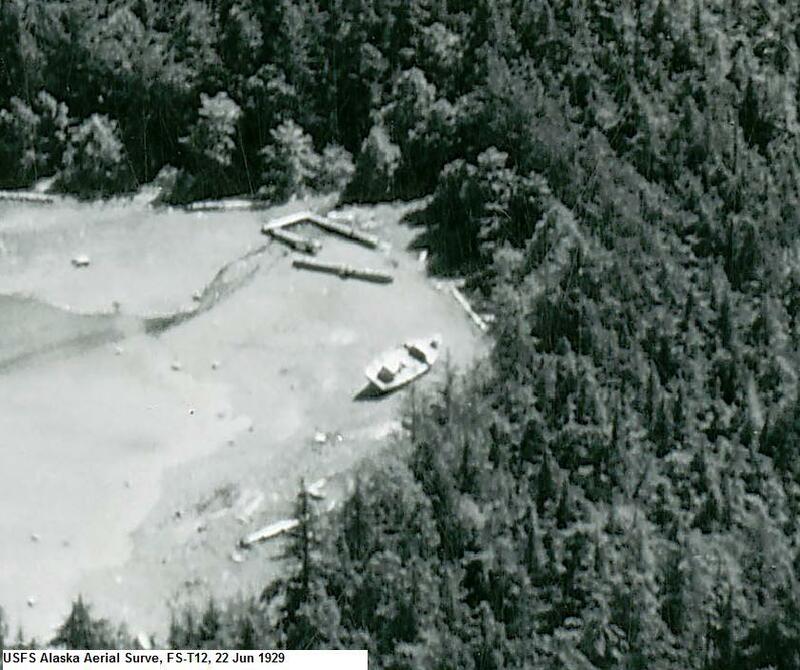 A 1950’s article mentions a “rotting hulk in Funter Bay” in this area, with the registry number 150650. This number was assigned to the Pilot, listed as abandoned in 1925. It was a 50ft long fishing boat from Juneau with a 20hp gas engine and crew of 5, built in Seattle in 1893. It had possibly been a steam tugboat previously. More shipping and vessel information will probably show up in a future post as I dig up more on the subject! This entry was posted on Wednesday, April 16th, 2014 at 7:14 pm and is filed under Alaska History, Funter Bay History. You can follow any responses to this entry through the RSS 2.0 feed. You can leave a response, or trackback from your own site.